The WSAVA Foundation is led by a group of veterinary experts and scholars with a wide range of experience in animal healthcare. Through their efforts, the WSAVA Foundation has become a growing organisation with a global reputation for successful animal advocacy. Dr. Varga began his career working in a clinical setting before shifting his efforts to academics, teaching in the clinic, and conducting experimental work at the University of Veterinary Medicine in Košice, Slovakia. Currently, Dr. Varga owns a national pharmaceutical distributor and holds technical and business positions for several key players in the pharmaceutical and pet food industries. 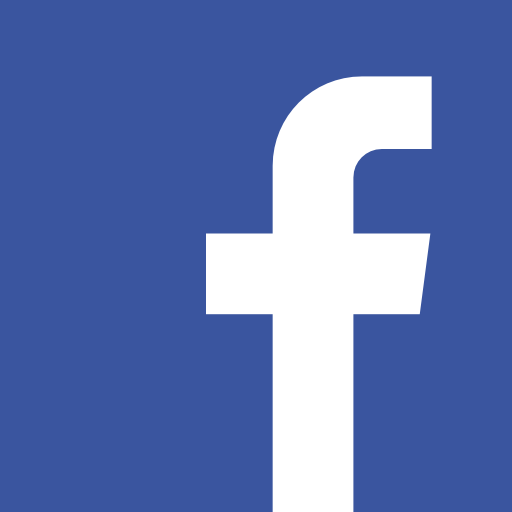 Additionally, he is an active member of the veterinary community, holding board and committee positions for WSAVA and the Federation of European Companion Animal Veterinary Associations. In his spare time, Dr. Varga travels the world, participates in long-distance marathons, and loves to golf. 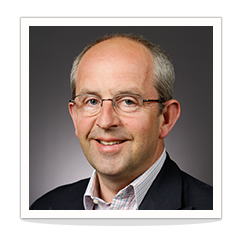 Following a career in equine veterinary medicine, Mark Johnston moved into veterinary publishing and is CEO of Vetstream, a global provider of digital resources to the veterinary profession and veterinary businesses. Vetstream is a Global Educational Partner and Communications Partner of the WSAVA and is closely involved with the WSAVA Foundation’s AFSCAN project in Africa. After graduating as valedictorian from the Republic Uruguayan University, Dr. López began her career practicing small animal medicine and surgery at her family’s clinic. 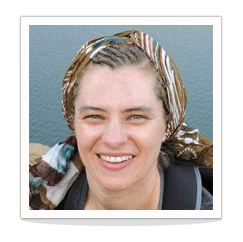 She is Professor of Medicine and Surgery at the Veterinary School, St. Clare’s College in Punta del Este, Uruguay, and one of the instructors of the ABC Trauma Course. This program teaches veterinarians safe, reliable methods for assessing and initially managing emergency patients around Latin America. With a special interest in emergency and critical care medicine, Dr. López is the cofounder and Vice President of the Latin American Veterinary Emergency and Critical Care Society (LAVECCS). During her spare time, she enjoys long-distance running and spending time with her 2 sons, 1 cat, and 6 dogs. Dr. Laurel Kaddatz earned his Doctor of Veterinary Medicine degree from the University of Minnesota and completed a small animal and surgical internship at Cornell University. He has practiced veterinary medicine for over forty years, and was voted one of Westchester County’s TopVets multiple times. His interest and activities in organized veterinary medicine and associations on the local, regional, and national levels began during his student days at the University of Minnesota. In addition to his work in professional associations on the regional level in New York, he is a past president of the New York State Veterinary Medical Society and has been awarded their Veterinarian of the Year and Distinguished Life Service Awards. Dr. Kaddatz served as the New York State Alternate Delegate to the American Veterinary Medical Association’s House of Delegates. 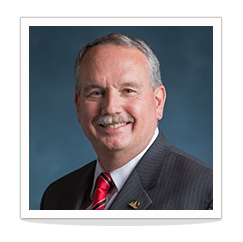 Dr. Kaddatz was active in several AVMA councils and committees and represented the AVMA in the WSAVA’s General Assembly. Committed to professional continuing education for the entire health care team, Dr. Kaddatz is a past president of and a current Board of Directors member of the North American Veterinary Community (NAVC) elected as it’s Treasurer. On a personal note, he enjoys golf, traveling, and photography. He and his wife Jackie enjoy their animal family: Tyler, a Brussels Griffon, Julie, a DSH tortoise shell, and Trixie, a DSH Abyssinian mix. A native of Colchester, Essex, England, Dr. Colin F. Burrows is a graduate of the Royal Veterinary College, University of London. Dr. Burrows has been honored to receive multiple awards, including the Scientific Achievement Award from WSAVA and the XIIth International Veterinary Congress prize from the American Veterinary Medical Association for contributions to international veterinary medicine. Dr. Burrows is passionate about education, not only for veterinary students but also for veterinary practitioners, particularly those in developing countries. He has delivered continuing education presentations in more than 50 countries and is an honorary member of the British, Austrian, and Russian Small Animal Veterinary Associations. He received a PhD in comparative medical sciences from the University of Pennsylvania in 1980 and joined the faculty at the University of Florida in that same year. 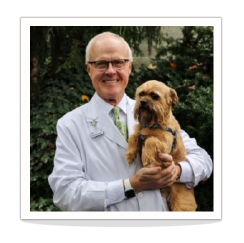 Dr. Burrows is a founder and former CEO of the North American Veterinary Community, currently serves as president of the WSAVA, and is editor-in-chief of the global digital edition of Clinician’s Brief. A graduate of the University of the Philippines College of Veterinary Medicine. Dr Santos owns D’Saints Veterinary Corner, a small animal clinic with 2 branches south of Manila. She is actively involved in several veterinary associations, serving as the Immediate Past President of the Philippine Animal Hospital Association (PAHA), Director of Philippine Veterinary Medical Association (PVMA), a member of WSAVA L&N committee, FAVA-AOVG CE committee member. 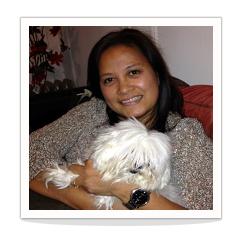 A Scholar of NAVC for 2014, Coordinator for the 2nd Global Animal Outreach in Tacloban Philippines, a project of WSAVA-AWWC . She loves to travel and a certified advanced scuba diver. 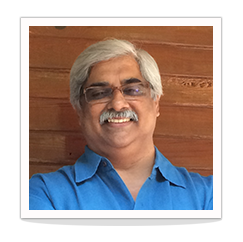 Umesh Karkare is a small animal practitioner and owner of the Happy Tails Veterinary Speciality. He is a founding member of the Federation of Asian Small Animal Veterinary Associations and of the Federation of Small Animal Practitioners Associations in India. He sits on several WSAVA Committees and is an active supporter of continuing education (CE) for veterinarians in India. Mike Topper has recently retired from his role as Director, Pathology & Global Clinical Pathology Lead at Merck & Co. Prior to this, he served for 22 years in the US Army Veterinary Corps. 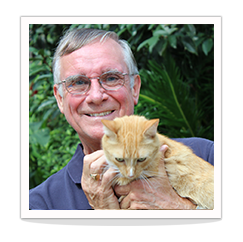 He has a long and distinguished career in veterinary pathology and has served as a leader in many veterinary medical organizations. He is the incoming President of the American Veterinary Medical Association. Daphne Westgeest has recently changed jobs, after 10 years in veterinary practice she now works for Royal Canin, focussing on scientific support. 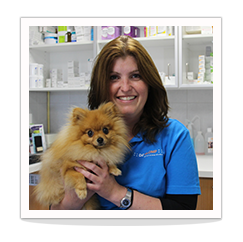 She has been the WSAVA Assembly Member for the Netherlands Association of Companion Animal Medicine (NACAM) from 2013 to 2018 and was responsible for marketing and communications at NACAM. 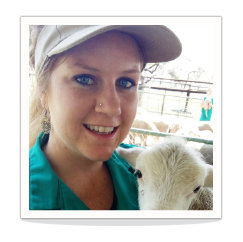 Magda Jannasch is currently busy with her fifth year veterinary science at Onderstepoort (University of Pretoria), South Africa. Before starting her studies in veterinary science, she completed her BScAgric Animal Science degree, also through the University of Pretoria. She has been actively involved in the International Veterinary Students’ Association (IVSA) as well as other local committees at her university since her second year as a veterinary student and is currently serving as the President of the IVSA for the term 2018 to 2019. Magda is very passionate about creating opportunities for veterinary students to learn and grow outside the classroom and believes that those opportunities are crucial to developing the necessary skills to becoming well-rounded veterinarians. Once she graduates at the end of 2020 she wants to gain some practical experience before hopefully returning to academia. She has a special interest in working dogs and animal behaviour and spends her free time training her 4-year-old Belgian Malinois in various different canine sports disciplines. Her second love is travelling exploring new and interesting places both within South Africa and abroad. 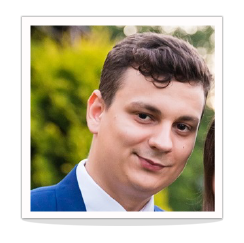 Lucian Todirică is a student in the 5th year at the University of Agricultural Science and Veterinary Medicine Cluj-Napoca. From the 1st year of studies he’s involved in the International Veterinary Students’ Association (IVSA). He was elected Development Aid Director at the 65th IVSA Congress in Malaysia. As Development Aid Director he raised money for the Development&Scholarship Fund, was involved in different projects that tried to develop veterinary faculties and was in charge of IVSA scholarships. Lucian loves to travel the world and is really passionate about the theatre. Jorge Guerrero, Médico Veterinario, Diplomate American College of Veterinary Microbiology (Parasitology), Diplomate European Veterinary Parasitology College (ret), MSc, PhD, has been Adjunct Full Professor of Parasitology at the University of Pennsylvania since 1983 to 2018. He served on the Board of Directors of the Eastern States Veterinary Association and was President of the North American Veterinary Community from 2007 to 2008. He was a Director on the Executive Board of the American Heartworm Society, and is the President and Founder of the Latin American Veterinary Conference. He has received the Distinguished Veterinary Parasitologists Award for 2005, granted by the American Association of Veterinary Parasitologists, the Chairman’s award of Merck and Co, Inc., the Gold Medal of the Spanish Small Animal Veterinary Association (AVEPA) and recently the Honorary Membership 2015 Award from the American Heartworm Society as well as the Global Meritorious Award from the World Small Animal Veterinary Association (WSAVA). Dr. Guerrero’s early teaching duties were in his alma mater San Marcos University in Lima, Peru, the University of Illinois, Escola Paulista de Medicina and the Universidade de São Paulo in Brazil. In 2004, he received the title of Honorary (Emeritus) Professor at San Marcos University. He has served as Visiting Professor of Veterinary Parasitology and Parasitic Diseases in many veterinary colleges in Europe and South America. 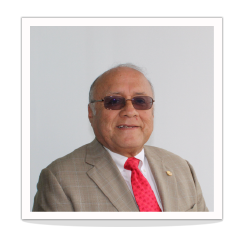 Dr. Guerrero has worked extensively in the animal health industry since 1973 until his retirement in 2001 as an Executive Director of Veterinary Professional Services North American Operations at Merial Inc. (at the time a Merck and Co, Inc. company). Dr. Guerrero has authored or co-authored more than 188 refereed original research articles and book chapters. 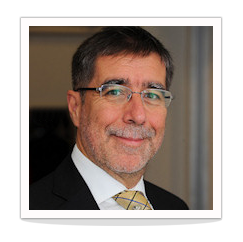 He is currently the President of the Latin American Veterinary Conference and is a past founding member of the Board of Directors of the Southern European Veterinary Conference where he served from 2007 to 2013. Get involved! Look at the WSAVA Foundation calendar to see if we are holding an event in your area.